Graduates from the National College of Art and Design (NCAD) are showing themselves to be responsive to the growing demand for creative solutions across community, industry and the public service. Speaking at a preview of the NCAD Graduate Exhibition 2018, Director of NCAD, Sarah Glennie said: “The world into which our graduates are emerging is very complex and there is huge demand within the marketplace for design-thinking and creative approaches. 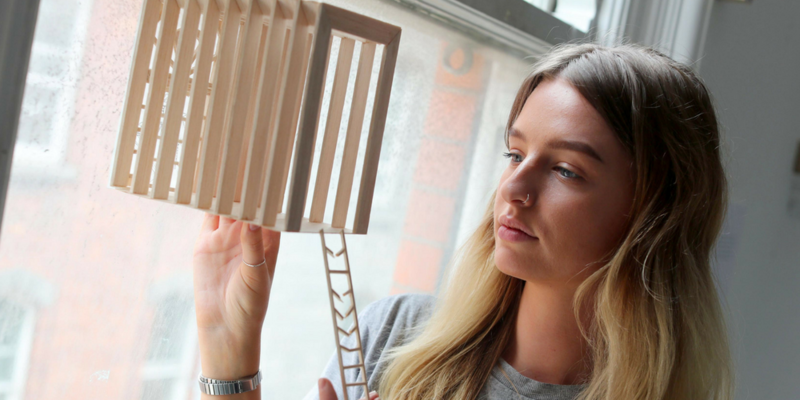 At NCAD, we are fostering innovation through collaboration, and the collaborative experiences that students are exposed to are enabling them to make contributions to society and explore the challenges of our time – from political issues to questions around sustainable living or the management of personal data. Students at NCAD are encouraged to test their creative practice in a wide range of contexts, using their diverse skill sets to develop responses and solutions to challenges facing sectors such as healthcare, medical devices, food production and education. An example of this is NCAD’s collaboration with St James’ Hospital’s Mercer’s Institute for Successful Aging (MISA), where students work as an embedded part of the Institute’s innovative Creative Life programme which places creativity at the centre of their engagement with their users. “Paths taken by NCAD graduates demonstrate the relevance of their skills and how they have diffused wide and far – from communities and industry to the public service. 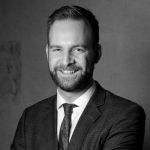 Their ability to work collaboratively and tackle issues through creative thinking means that they make a significant contribution in whichever path they follow,” continued Glennie. The work on display at this year’s NCAD graduate exhibition demonstrates the students’ keen awareness of and engagement with the world around them, and their propensity to tackle the societal challenges that arise. One of the dominant themes explores the human relationship with machines, with projects exploring the impact of artificial intelligence, and privacy concerns associated with our digital footprint. These topics and others, such as the harsh reality of the planet’s rapidly diminishing natural resources, are often considered uncomfortable, yet are confronted head-on by NCAD students. Commenting further, Glennie said: “Asking and exploring difficult questions is at the heart of the arts, and creative thinking helps us, as a society, to frame the challenges of our time. For instance, this year’s showcase highlights the complexities of identity in modern society, with projects reflecting on displacement, migration and gender constructs. A number of our students have also chosen to explore the impending reality of Brexit, and what this means for the Irish people. The exhibition features the work of graduates from NCAD’s four Schools of Fine Art, Design, Education and Visual Culture, and postgraduates from the MFA in Fine Art, MFA in Digital Art and MFA Design programmes. Work in progress from postgraduate students in the School of Design will also be on display. In total, work by 264 students will feature in the exhibition. Exploring the topic of surveillance and the illusion of privacy, Print student Julie O’Brien sets out to expose the flaws in our contemporary surveillant society in her project Entre-veillance, by questioning the malleability of the power relations between the surveyor and the surveyed. Affective Machines by Visual Communication student Shane Melly raises concerns regarding the double-edged sword of ‘affective computing’. Its goals include replicating human emotion via bio data collection from willing and potentially unwilling individuals. When unplugged, a projector’s beam turns to a default blue light. Media student Issey Goold interprets this blue as a gateway or language for virtual space, which has led her to investigate her personal relationship with machines. Semi-detached by Sculpture & Expanded Practice student Kevin Gaynor is an exploration of the tradition of Irish division, and how this is expressed in family homes across the country. Through his imagery, converting Irish Sea water into fog, Gaynor injects this geographic border into the living rooms of Ireland, reflecting the uncertainty of this invisible/physical border, post Brexit. Visual Communication student Christopher McDonagh explores the potential effects of Brexit, North and South of the border. Through her painting series Invisibility Cloaks, Michelene Huggard highlights the dual reality experienced by many Syrian refugees: they arrive, wrapped in silver foil, on the shore of their new country, yet are nonetheless hidden in plain sight. EcoDome by Product Design student Liam Traynor is a smart aquaponics system designed for urban living. The system grows small food gardens with minimum effort, whilst educating the user about fish and plant care. Entering the Anthropocene by Textile Art & Artefact student Amy Kee explores how human interference has given way to the rise of climate change adaptation, in particular the development of plant regeneration and genetic variability. The NCAD Graduate Exhibition 2018 will run from Saturday, 9th June until Sunday, 17th June across NCAD’s campus at 100 Thomas Street and The Annex, 101-103 James’s Street, where work from students in the MFA in Digital Art and the MFA in Fine Art will be displayed. During the course of the exhibition, a programme of free talks, events and workshops, will be taking place. The programme will culminate in a family-friendly Welcome Day on Saturday, 16th June, which will feature a range of art, design and craft workshops for children from different age groups, and, for those wanting to find out more about the latest developments in the fields of Fine Art and Design, NCAD’s Heads of School will lead informal and informative tours. For more information, visit: http://www.ncad.ie/about/graduate-exhibition-2018/.